Whether you’re a Portlander or not, odds are you’ve heard of Pok Pok; a restaurant that took the foodie scene by storm in 2001 when it opened its doors. Owner Andy Ricker has since opened several more locations – including one in NYC – and won a prestigious James Beard for his innovative restaurant. Everything on the menu is drool-worthy, but Pok Pok’s most famous dish is the Vietnamese Fish Sauce Wings. Don’t let the name scare you. These chicken wings are crack on a bone. So when I stumbled upon the recipe last month, I put it up on the refrigerator to make for Super Bowl. Except that, naturally I couldn’t wait. Only, I made a slight modification: I baked these chicken wings instead of deep frying them. Because wings that are baked are practically healthy, yes? Yes. And I promise, it doesn’t sacrifice flavor or crunch. Can’t you just see the crispiness in these photos. I’m getting hungry just editing this post. 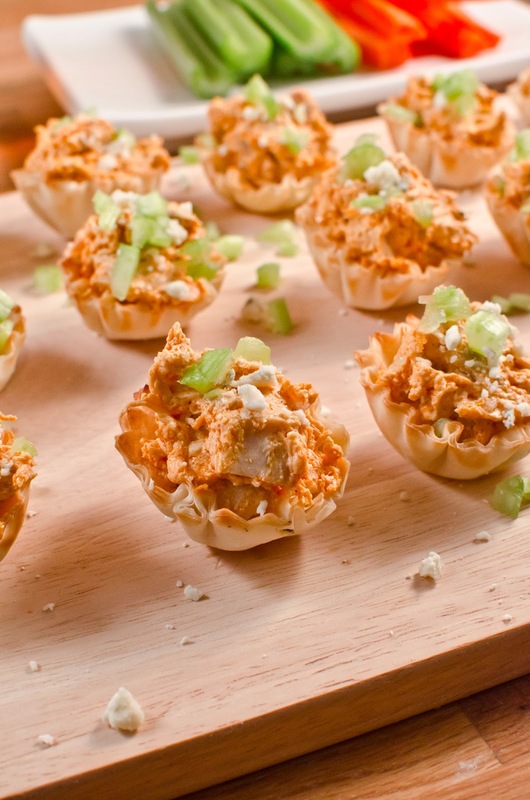 No matter who you’re going to route for this Super Bowl, we can all agree on one thing: game day foods are tres important. It’s crucial to have the nourishment to sustain you for hours of screaming, and enough carbs to soak up one too many beers. Game day food isn’t supposed to be good for you. It’s supposed to be highly addictive and fun. And that’s exactly what Hawaiian Chex Mix is. My name is Marisa and I’m a foodie.I know it because I’m far more concerned with a game day menu than who’s actually playing in the Super Bowl. Turns out it’s the 49ers and the Baltimore Ravens.Yawn…You know what’s more exciting? Now that’s something to cheer about. I first sampled this recipe at a Saucy Mama party this summer, and I’ve been waiting eagerly for an excuse to make it myself ever since. 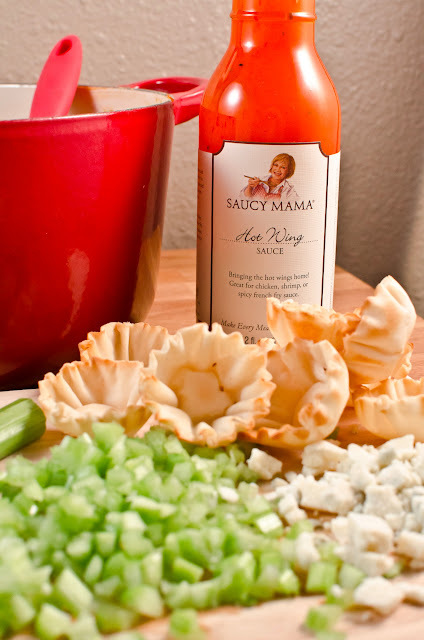 The key ingredient is definitely Saucy Mama’s Hot Wing Sauce. 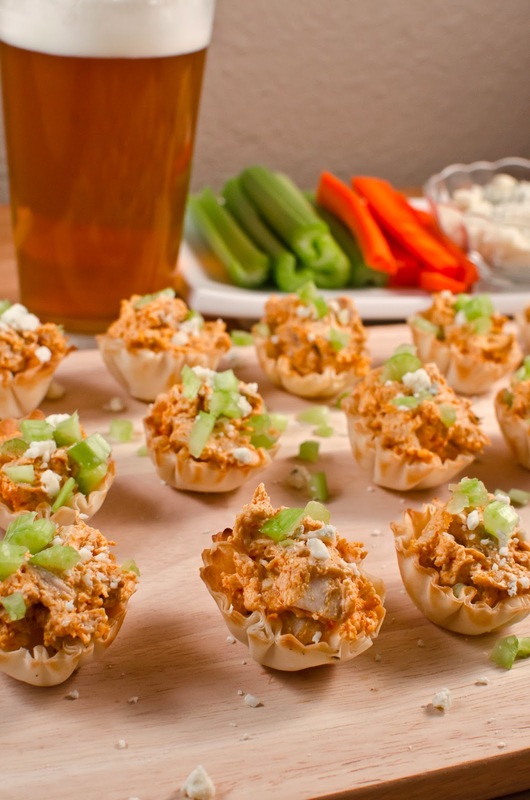 But the pastry shells and blue cheese certainly don’t hurt. Does it get better than one-bite wings without the sticky fingers? I don’t think so. 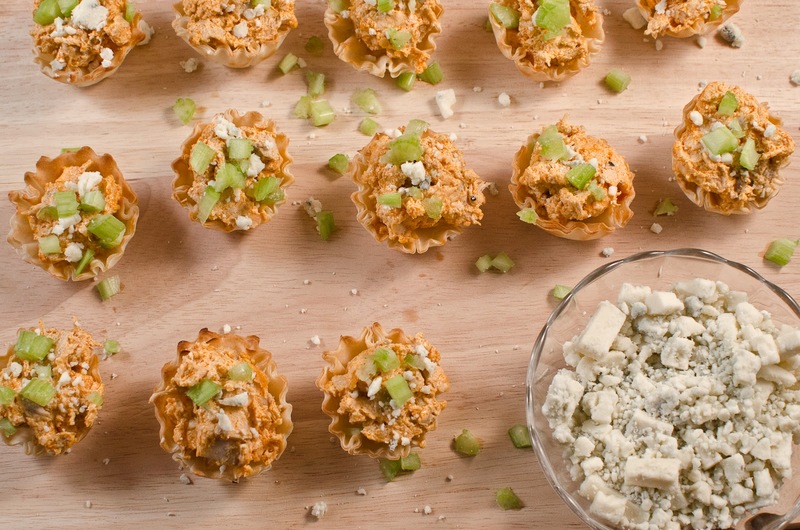 Regardless of why you love Super Bowl parties, you’ll love this perfect game day appetizer. And so will your party guests. 24 small pastry cups, baked (Note: You can make you own, or better yet, purchase at your local bakery. They can also be found sometimes in the freezer section of your local grocer). In a large zip lock bag coat chicken thighs with Hot Wing Sauce (let it soak up to 1 day). Preheat oven to 400 degrees. Place chicken thighs in a baking pan, and bake for 35 to 40 minutes until cooked through. Let chicken cool, then place on a cutting board and dice. Place diced chicken in sauce pan over medium heat and add cream cheese and ¼ cup blue cheese. Stir to melt cheese. Add more hot wing sauce to taste. 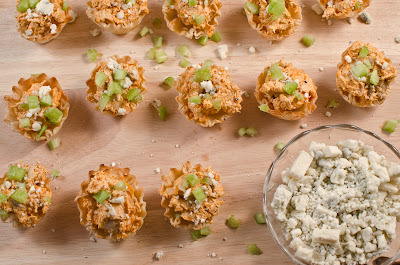 Finally, spoon mixture into pastry cups and top with celery and remaining blue cheese crumbles.